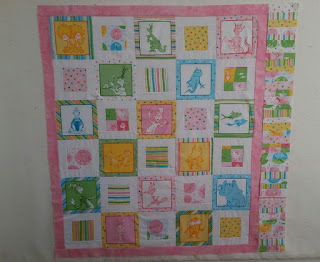 This week on my design wall are a baby quilt that just need the borders finished up. 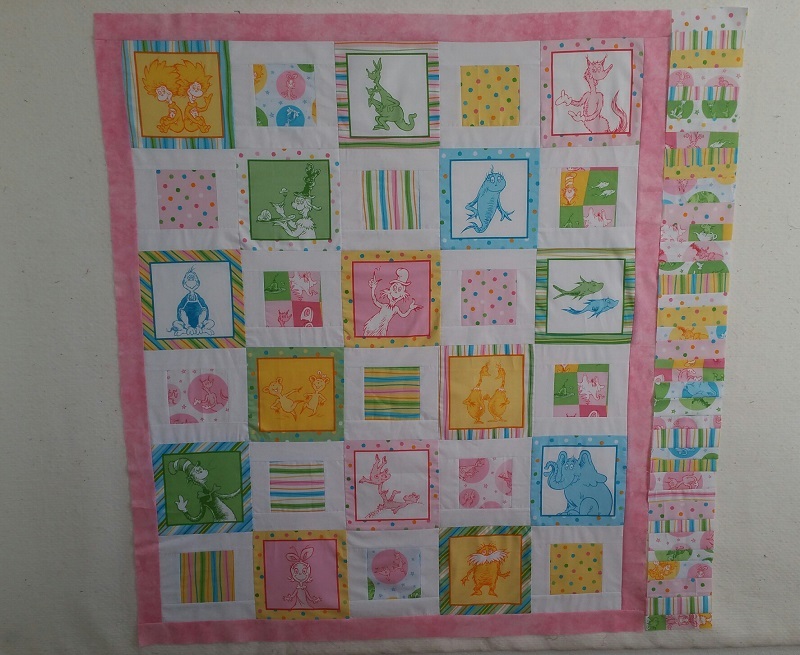 This quilt was made from a fat quarter pack of girly Dr Seuss fabrics that I bought awhile back. 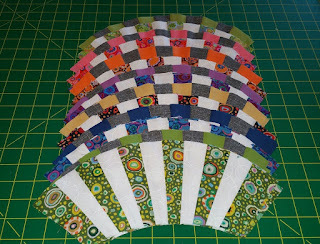 Just have to finish up the pieced border from all the scraps that are left. This will be for a new niece that was born about a week ago. Also on my design wall is Chic Kisses. Wedges are done and will sew on melons and outside circles next. Had to find more of the dark grey for the corner squares, and was lucky enough to find on line at Quilting Cupboard. This is my September UFO and not sure if it will be complete by Saturday, but I am going to try. The San Diego Quilt Show opened today, so if you have a chance head on over. It runs through Saturday. 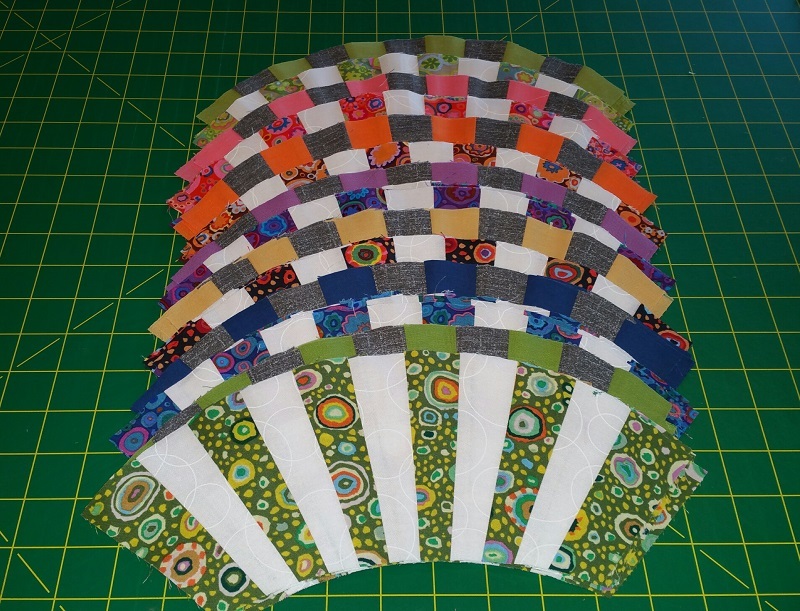 I will be in Sunshine Quilt Guild Booth on Saturday, sewing away with other members on Project Linus Quilts and hoping to win some $$$ for the guild. If you are there stop by. You were lucky to find the gray fabric. I will see you in the booth!